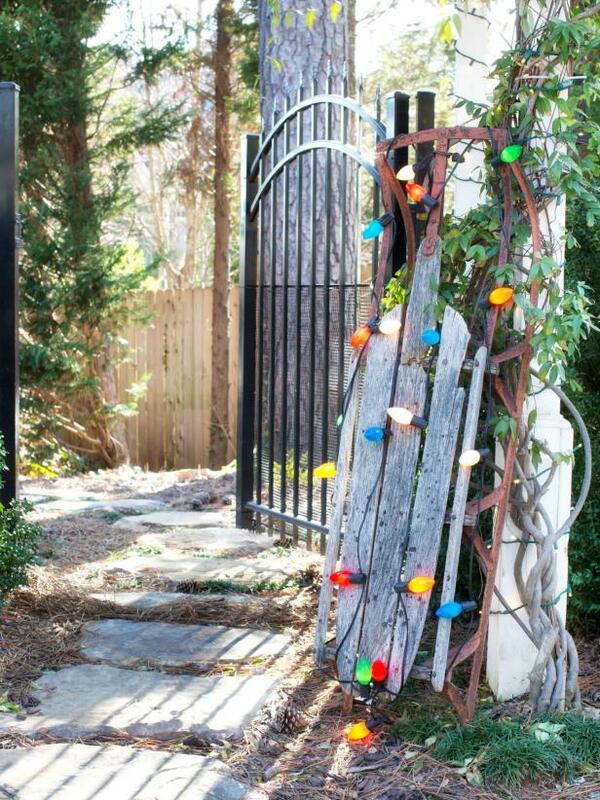 Use vintage-style multicolored twinkle lights to bring unstructured, urban holiday touches to everyday objects. 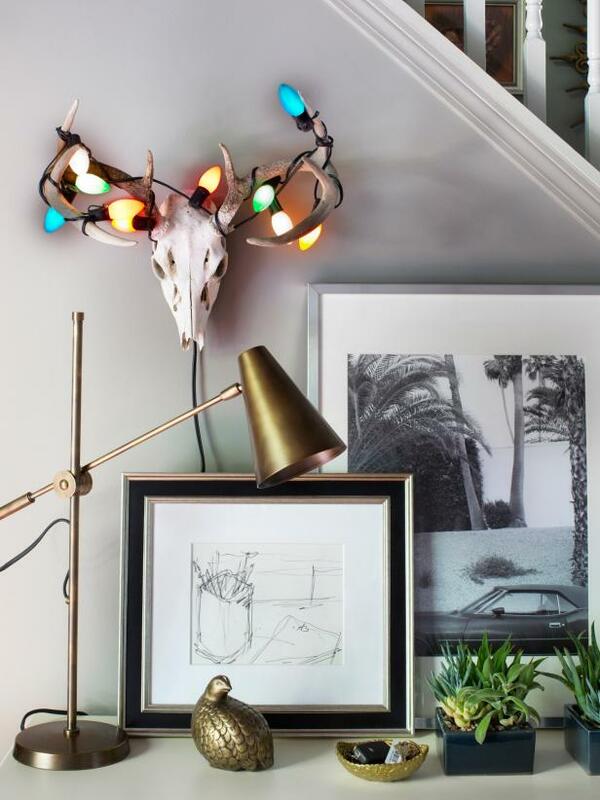 Horns and skulls may not seem like holiday decor, but with the addition of vintage colored lights, these staples of masculine decor can take on a playful, urban vibe. 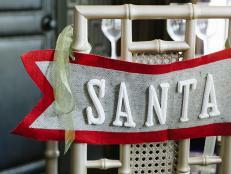 Consider hanging the fixtures near an entrance, wrapping them with a single strands of lights, then using a cloth-wrapped extension cord to add vintage charm. 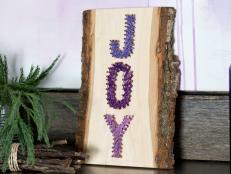 Reinvent empty frames as illuminated sculptures with the addition of colored lights. 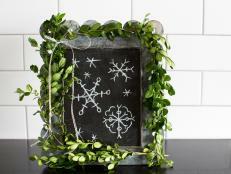 For indoor use, standard vintage-style lights can be used to wrap wall-hung frames, placed near outlets. To help disguise extension cords, consider grouping several frames vertically, tucking the cord behind each frame, then into outlets near the bottom of the wall. 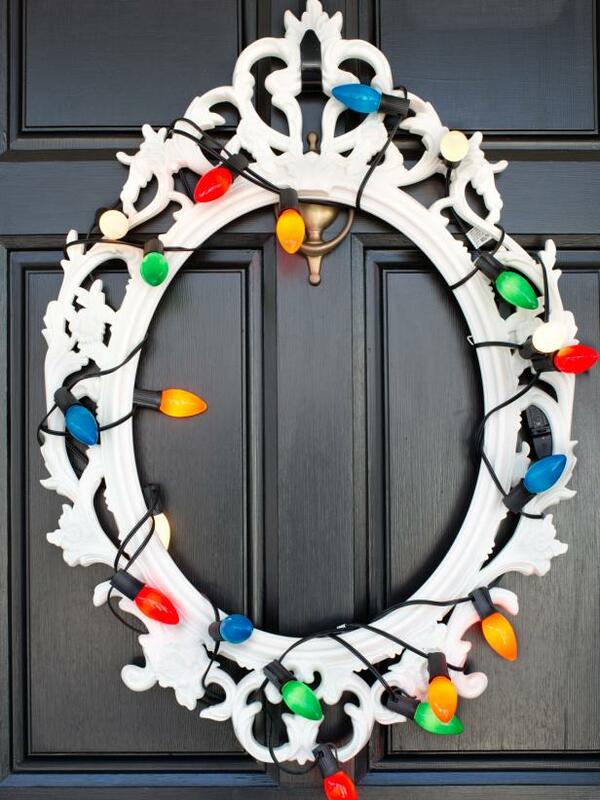 For outdoor use, such as a repurposed wreath alternative placed on a front door, it's best to use battery-operated lights. 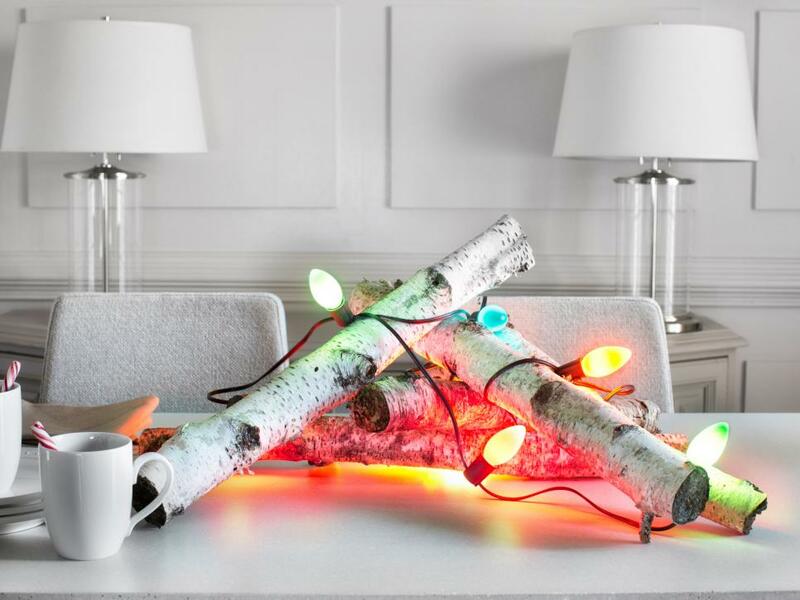 Put a natural yet unexpected twist on your holiday centerpiece with a birch log bundle wrapped with colored lights. 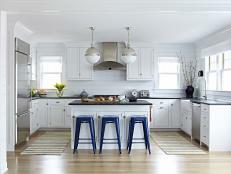 When used on a formal dining table, it's best to use battery-operated versions; however, when placed on a sideboard or console table, plug-in lights work well since the cord can easily be tucked and hidden from view. 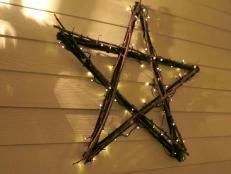 Bring rustic appeal to your yard or interior by wrapping weathered architectural relics with lights. The contrast between the dulled, organic surfaces and the boldness of colored lights results in a conversation piece which truly pops. 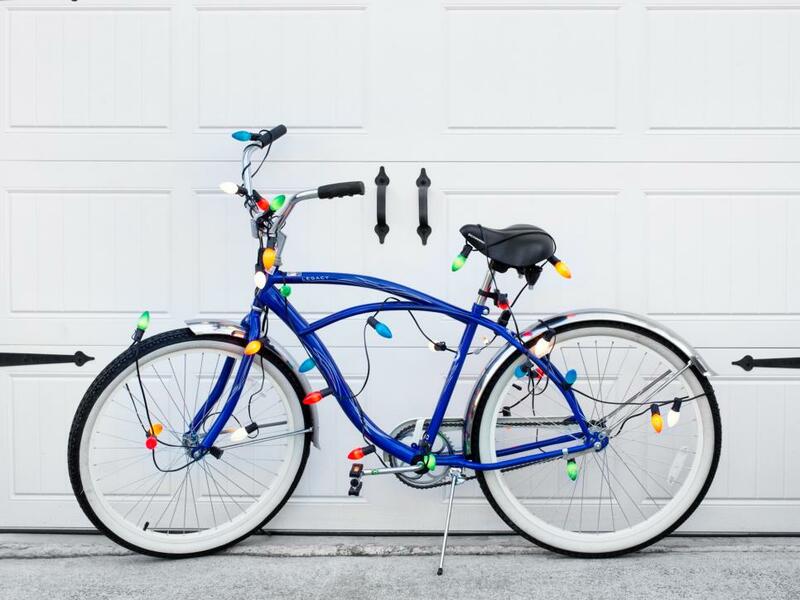 Put a vintage bicycle on display inside or outside the home by wrapping the wheels, frame, handlebars and seat with lights. To keep necessary wires from interfering with the look, stick with black extension cords which can wrap around black tires, minimizing their presence. 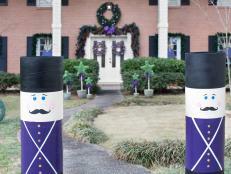 Put a whimsical spin on everyday lanterns with colored lights in place of candles. 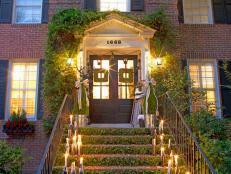 Used singularly, the lanterns can work as centerpieces by filling them with battery-operated string lights. 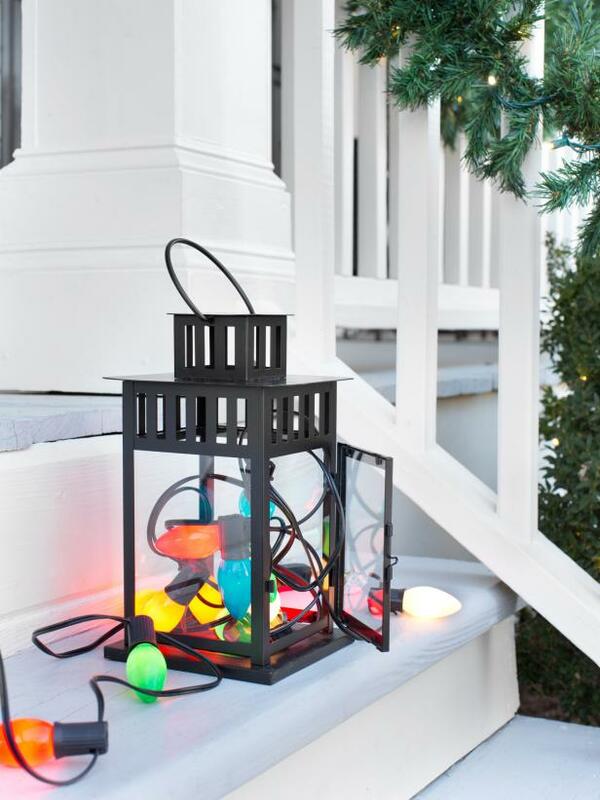 Outdoor luminaries for steps or walkways can be made with groupings of lanterns placed along the perimeter of an area, with strands of lights running from one lantern to another. 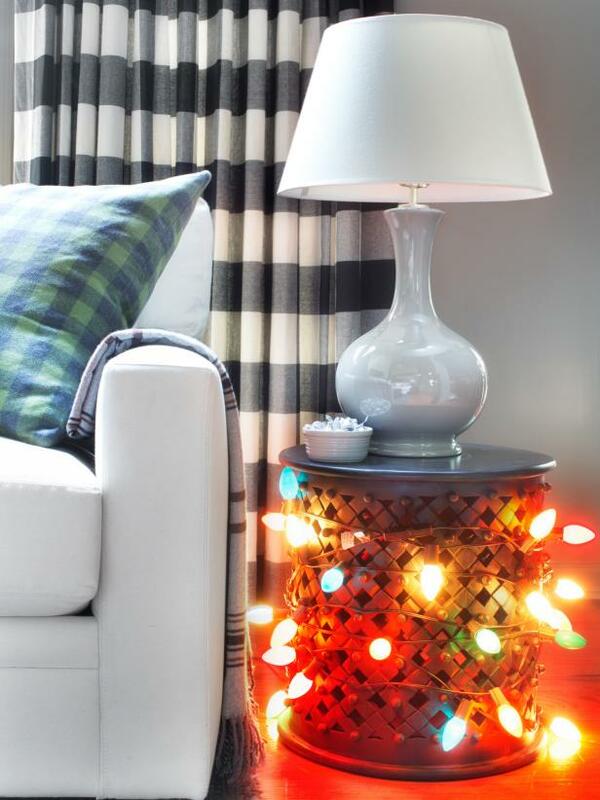 If your living room is too cramped to fit a true Christmas tree, consider wrapping end tables with lights, instantly adding holiday ambiance to your seating area without sacrificing valuable space. 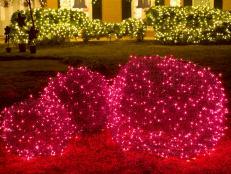 Just a few garden sculptures wrapped with colored lights can instantly bring a holiday touch with minimal fuss. At night the graphic shapes of the garden sculptures are easy to read from inside the house, and the bold color casts a vibrant glow on the otherwise dark and dim area. 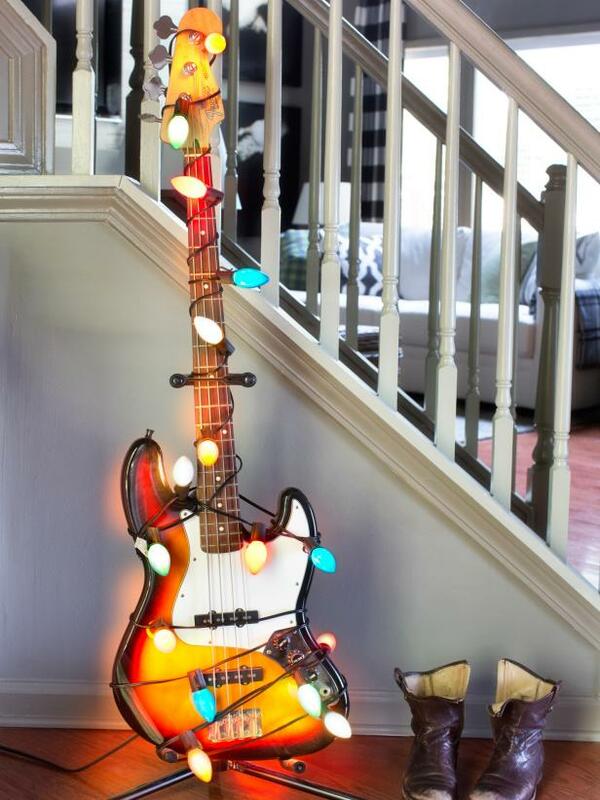 Add a touch of rock and roll to your home this holiday season by wrapping guitars with colored lights. Place the guitar directly in front of an outlet to help keep the cords hidden from view. 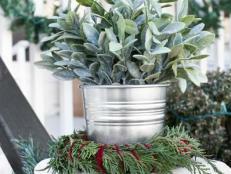 Little red wagons are a great way to bring a playful, farmhouse touch to your holiday decor. 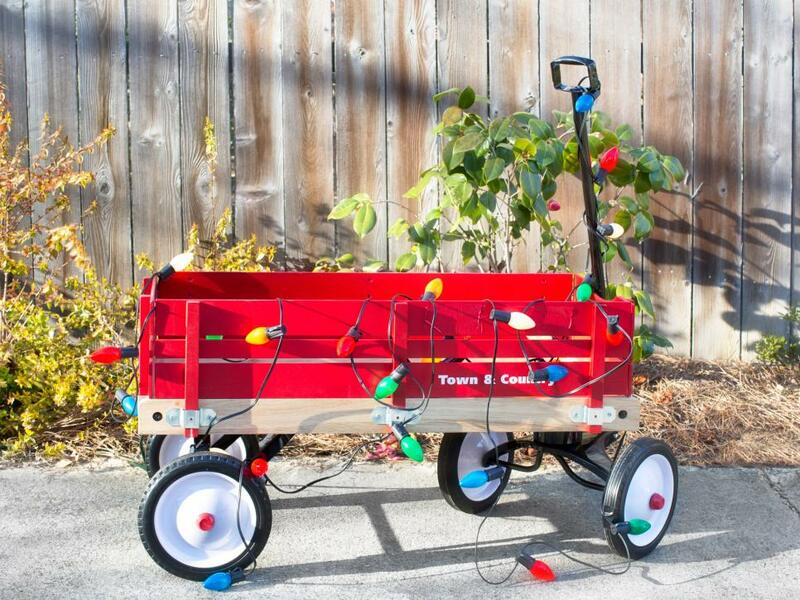 Consider wrapping classic wooden wagons with lights as a decorative accessory, or use the light-wrapped wagons to contain and display gifts. 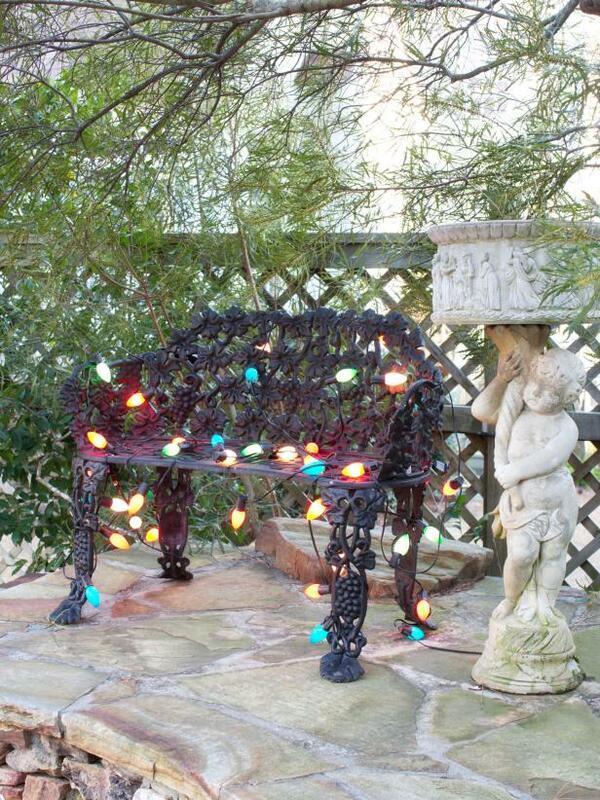 Put hefty benches and stools on display as focal points by wrapping them with lights. 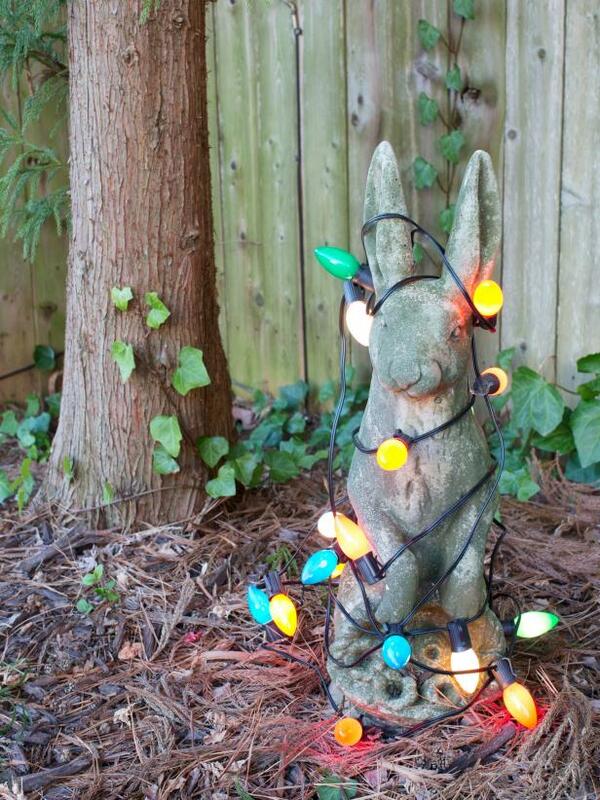 In addition to being decorative, this is also an excellent way to bring safety to dimly lit areas of the yard. 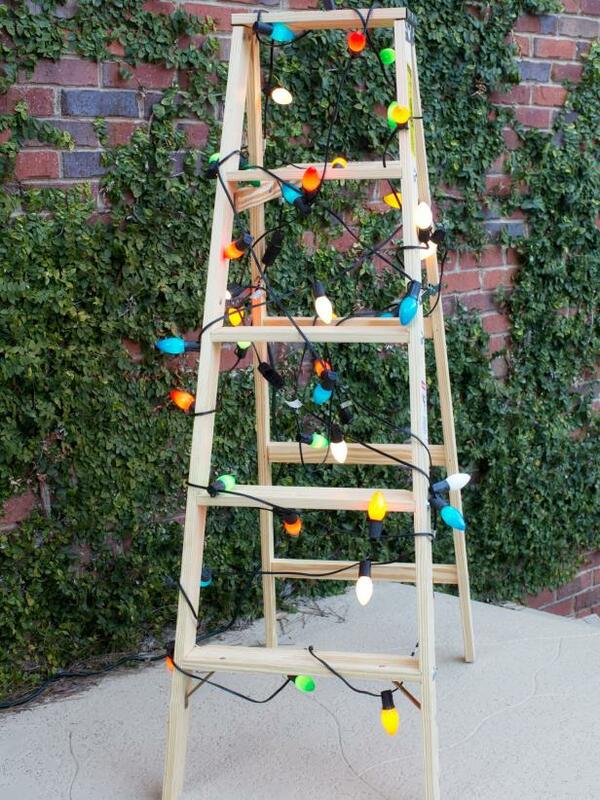 Bring an industrial touch to your home by wrapping wooden ladders with colored lights. 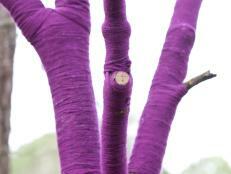 This can also work as an alternative to a Christmas tree for use inside industrial spaces. 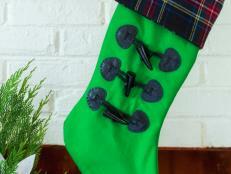 For a tree alternative, consider 8-foot to 10-foot ladders, then use the space below the ladder to pile gifts.